Is Saudi’s Market Share War Over, Is It On-Hold, or Is It Still Coming? OPEC surprised the markets when word came out that for the first time in eight years the cartel planned to put oil production limits in place at its upcoming November meeting. Rumors have been zinging around the media for a little while, but yesterday’s announcement from OPEC sent oil markets upward to the tune of almost $3 per barrel. The rally continued on Thursday with WTI November contracts piercing $48 per barrel for a while in morning trading. E&Ps were buoyed by the news, but a hundred oil and gas bankruptcies (and counting) serve as an ugly backdrop for recent predictions of continued record inventory levels and no market balance for another year—or two. But that gloomy future gave way yesterday to a day of sunshine for the North American E&Ps, a generally optimistic group that has been too busy retooling their companies to smile much since OPEC last startled the global oil and gas sector by announcing its new strategy to chase market share rather than maintain price stability. That was on Thanksgiving Day of 2014. That took oil out of triple digits all the way down to the $20s–briefly. Oil producers have endured almost two years of being smacked around by post-crash market pricing. But the projected changes that would be caused by such a move—representing an unprecedented agreement by arch-rivals Saudi Arabia and Iran—has analysts scratching their heads, sharpening their pencils, rebooting their commodities price models and spitting out research notes in a flurry of activity after delivery of yesterday’s OPEC news. “In the last two years, the global oil market has witnessed many challenges, originating mainly from the supply side. As a result, prices have more than halved, while volatility has increased. Oil-exporting countries’ and oil companies’ revenues have dramatically declined, putting strains on their fiscal position and hindering their economic growth. The oil industry faced deep cuts in investment and massive layoffs, leading to a potential risk that oil supply may not meet demand in the future, with a detrimental effect on security of supply. Related: Is The EIA Wrong On Texas Oil Production? “The Conference took into account current market conditions and immediate prospects and concluded that it is not advisable to ignore the potential risk that the present stock overhang may continue to weigh negatively well into the future, with a worsening impact on producers, consumers and the industry. “Based on the above observations and analysis, OPEC Member Countries have decided to conduct a serious and constructive dialogue with non-member producing countries, with the objective to stabilize the oil market and avoid the adverse impacts in the short- and medium-term. 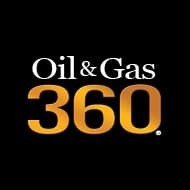 “The Conference, following the overall assessment of the global oil demand and supply balance presented by the OPEC Secretariat, noted that world oil demand remains robust, while the prospects of future supplies are being negatively impacted by deep cuts in investments and massive layoffs. The Conference, in particular, addressed the challenge of drawing down the excess stock levels in the coming quarters, and noted the drop in United States oil inventories seen in recent weeks. In a conference call hosted by Paul Sankey and David Clark of Wolfe Research, the analysts examined what the surprise change in direction will mean to global oil prices and U.S. unconventional producers in particular, if OPEC follows through. Sankey said he believes that the market is already in balance, based on EIA data, OECD data and other analysis. “Let’s call it a balanced market we’re in now. So every barrel they cut gets toward an undersupplied market. 32.5 -33 MMBOPD is the suggested range OPEC will move to. The cut would be 700,000 BOPD. Remember that is every day,” Sankey said. “If you go from a balanced market to a 700,000-barrel undersupplied market, that is a big deal.” Related: Has Saudi Arabia Pushed OPEC Too Far? Why did OPEC do it? “With weaker demand predicted through 2017 they could see a rough market coming,” the analyst theorized. “Being a cartel the economics were overpowering: a 10 percent cut could give as much as a 30 percent rise in oil prices. “The thesis is that marginal supply growth comes in the future from U.S. unconventional [production]. “This is extremely bullish for all the U.S. E&Ps on the unconventional side,” Sankey said.